Have a question? Want to talk something over? Contact us with any questions, concerns or information requests. 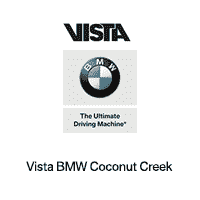 At Vista BMW Coconut Creek, your satisfaction is important to us. We’re happy to hear from our customers and we will get back to you real quick. Or feel free to stop in!